Trying this again. I missed a couple weeks of reading during 2011, I'm going to try harder with reviews too. This is a great challenge, and I'm heading into my third year. Thank you so much for hosting! Looking forward to it. I might try the A to Z challenge this time =) . I'm looking forward to it as well! Thanks! I have enjoyed the challenge this year and also enjoyed reading other people's blogs and reviews. Learned so much about books and writing. Hopefully next year I can add some of my own stories to my blog. I just heard about the challenge and came across your blog and I think that what you're doing here is just FABULOUS! I have just joined your site and signed up for the 2012 challenge. I may also join you for these last few weeks in 2011 just to get myself in the habit of stopping by and linking up! Have a fabulous week & do stop by for a visit when you have a moment! This will be my first time participating. I cannot wait to get started! Thanks so much for doing this challenge again. I'm joining in for my 3rd year. Looking forward to finding all 52 wonderful books. Have a great day! I've been waiting for the start of the year to join (first time participating), so I'll be ready. With the move it will be challenging, but I think that I can do it! Should be fun! I'm looking forward to participating for the first time. I've been asking for Amazon gift cards for Christmas, so I can get my Kindle loaded and ready to go! I can't wait to get started on this. I am really looking forward to this challenge. Yeah! Glad you are all joining in and excited to begin. This is my first time participating. Looking forward to it. First time! Yay! Not sure though, will all of my blog entries post to you guys because I also do other posts with my blog. Please advise. This will be my third year. I hope to glean a lot of recommendations from reading others reviews! Hi..This is my 1st time with this challenge so I am do the casual level. I gave my wp address (which will be affective as of 1/1/12) in the link. But my posting is here http://cmashlovestoread.blogspot.com/2011/12/i-had-no-choice.html or http://cmashlovestoread.blogspot.com/2008/08/challenges.html. Thank you for hosting. Third year and still as excited as before! I'm maintaining a book library plugin called Now Reading Redux for WordPress http://wordpress.org/extend/plugins/now-reading-redux/. It helps track, review and share the books I'm reading. Looking forward to reading more books for myself this year. Thanks for posting the challenge! Heard about your challenge and decided to join in :) I can't wait. I'm looking forward to reading the reviews. 2012 will be my first year ! Cannot wait! Excited and nervous at the same time! I am really looking forward to reading all the wonderful reviews! I don't have a blog, but I can't wait to start this challenge! I'm looking forward to this! I am challenging myself to return to my first love of Reading and turn off the tv. 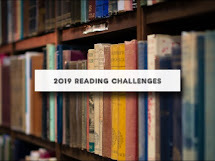 Inspired by my friend, kellitamurphy, I'm joining in on this challenge...I am also challenging myself to getting back on my blog - after changing platforms - and blogging about these books. I'm looking forward to this! Ready for round three. Happy New Year. I love to read and look forward to having a goal. I'm excited! Maybe this will keep me off the computer more this year. Great challenge, Robin. I'm itching to get started! Trying to finish the book I'm currently reading so I can start fresh. But I guess if I can't, I'll have a head start! Looking forward to this challenge! I already have my books set up and ready to go! Let the games begin... tomorrow. Just linked to my blog! So excited to do this! Excited to try this though honestly I'm going to be thrilled if I read 24 books. I spend a lot of my day reading to the kids and I tend to therefore choose to read blogs or magazines for pleasure reading! Thanks for organizing all of this. I can't wait to start reading new books this year, from old and new authors. I don't have a blog to link to, but the first book that I will be reading for this challenge is Jodi Picoult's Sing You Home. No blog to link to - but I am excited about this reading challenge for 2012. Starting off with Tolkein's Fellowship of the Ring. Whee, sounds like fun. Or asking for trouble, but I'm never very clear on the difference. I think I'll include the "12 in 2012" category challenge, too! I'm #61, and started my new blog today! Here's the updated URL and link...I'm planning on posting about this journey. Well, I tried to link it up, but it will not let me... says there's an error. However, I think I'm joining you. I keep letting other things crowd out my reading time and reading just feeds my mind and soul in a way nothing else can. So, no link, but I'm joining. I'm excited to join the challenge this year, and hope I'll do better than I did last year. I do not have a blog but I am very excited to be part of this challenge! Haven't read as much as I would like the last few years so I hope this helps to keep me on track. I already have a few books in hand and some on my reading list so I am set - thank you for organizing this event! This is going to b fun! Hmmmm im thinking about shcool; i mean i'd b very busy, so could i really read a book a week?but that's what make it a challenge right! So happy i found this challenge! I linked this challenge to my Aralia Lane blog so better sign my comment that way! Looking forward to all the books! I'm very excited to start this! I've always wanted to have a book review blog and this gives me the chance to do it. Thank you so much for doing this. Greetings to all fellow readers! Along with my 52 books I want to read one book from each state in the US. I only made it to 41 last year, but some of my books from The Well-Educated Mind list could have counted as three books! Now that I am done with that list, I am hoping to read many more. :) I am slowly working through this list: http://carolhomeschool2.blogspot.com/2012/01/100-great-books-50.html. Going to Hawaii and have my Kindle armed and dangerously loaded with many of the books on this list!!! Started tracking half-way through last year, and made it to 34, (counting some books I remembered reading in the first half of the year.) This year, I'm going to make it to 52, I'm already at 6, and I just did a blog post about 52 books in 2012. Looking forward to reading 52 books this year - two down already, so I'm only two books or so behind. I'll get there! Can't wait, and I'll also be doing book reviews on my beauty/food/lifestyle blog, missdiorista.blogspot.com. I am in the middle of a long selection for my 8th book this year.... I hope to conquer this challenge! I signed up in early January but didn't see the link to my blog. Great to be reading again this year! I'm signing up late... hoping to get to 52 by doubling up on my reading until the end of the year! BW 52: All wrapped up and tied with a ribbon!